As the football season has ended with a bang, many eyes now turn to the beginning of the 2013 MLB season. With spring training barely underway, there are still several big-name players that are still in contract negotiations with various teams. Some of the biggest names include Kyle Lohse, Grady Sizemore, and Chris Young. One of the most recent deals was a four-year contract given to the speedy Michael Bourne by the Cleveland Indians. Perhaps the biggest deal left is for someone who is not even a free agent. The Seattle Mariners are currently in talks with their franchise cornerstone pitcher Felix Hernandez. Hernandez’s current deal, signed in 2010, runs through the end of the 2015 campaign. The proposed extension would run through 2020, paying the young hurler about $175 million. If signed, this would make King Felix the highest paid pitcher in Major League history. While it is a ridiculous amount of money, there is very little dispute that he is one of the most deserving young pitchers in baseball. 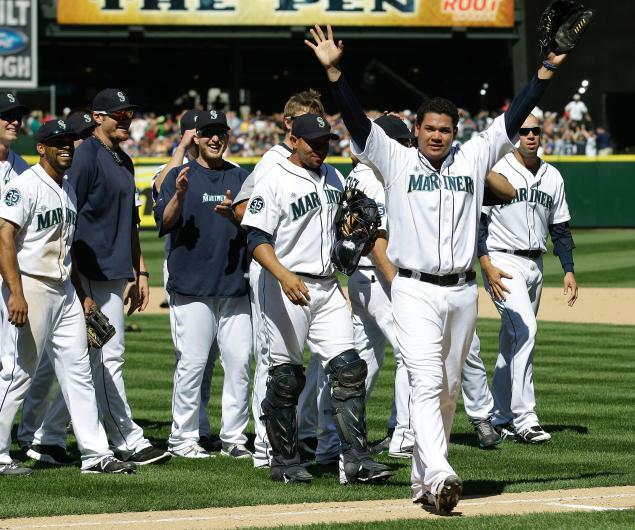 Hernandez earned his nickname of “King Felix” after he threw the first perfect game in Mariners history last summer against the Tampa Bay Rays. There is, however, one little thing stalling the whole process. Some of the people involved in the signing process have pointed at Hernandez’s small elbow issue as a reason to not sign a big deal. The Mariners general manager, on the other hand, has been very open that his ace has been throwing perfectly for several weeks. Since his entrance into the league, Hernandez has been very diligent about avoiding injuries and being out of shape, both of which plagued him in his rookie season. As contracts have soared over the last decade or so, teams have been more reluctant to sign long-term contracts because of the always-lingering possibility of a career-ending injury. In fact, some teams have clauses written into contracts that protect them against severe injuries that their star players have to deal with. One such contract is one between the Yankees and their ace, CC Sabathia. As his contract negotiations linger, Felix Hernandez has decided to skip the World Baseball Classic, which takes place throughout the month of March. There is no doubt that he will be dearly missed by his native Venezuela. That being said, King Felix still has two years left on his current contract, so there is technically no hurry for getting a deal done, though both sides have said they want to get it out of the way. Look for a deal to be done either some time during the 2013 season, or quickly during the offseason. This entry was posted in Baseball, Baseball, Home, Midwest, National and tagged Felix Hernandez, Injury, MLB, Seattle Mariners.